The cozy living room is equipped with TV, stereo, DVD player. Our kitchen is fully equipped with fridge-freezer, dishwasher, electric cooker, coffee machine, kettle cutlery and crockery. A basic equipment (sugar, salt, pepper, vinegar, oil) is available in the kitchen. The bathroom has both a shower and a bath. Hair dryer and towels are also available. The first bedroom has a double bed (2.00 mx 1.80 m) shelf wall and wardrobe. The second bedroom has a double bed (2.00 mx 1.40 m) and an additional sofa bed. On the sunny balcony you can enjoy the view over Heiligenstadt for breakfast. We welcome you in our apartment in Rotdornweg. Our well maintained apartment in the attic of a two-family house is located in a quiet area. The apartment has two bedrooms (each 18 sqm), a living room (27 sqm), an eat-in kitchen (18 sqm), a bathroom with shower and bath (10 sqm) and a balcony (9 sqm). Bicycles can be adjusted, you can also rent our bikes for a small fee locally. On-site parking and Wi-Fi are available. Our garden can be used on request for a cozy barbecue. Barbecue is available. We invite you to be our guest. Wir wurden freundlich empfangen. Schon vor der Ankunft waren die Vermieter hilfsbereit. Die Wohnung hat mit ihrer Größe einen tollen Charme und wundervolle Tage in Heiligenstadt Oberfranken zu verbringen.Wir kommen wieder. Die Wohnung ist sehr geräumig mit 2 Schlafzimmern, einem Wohnzimmer und einer Küche. Spülmaschine, Herd und Kühlschrank funktionieren bestens. Schöner Balkon mit Sitzmöglichkeiten und Aussicht. Schön ruhig gelegen, in 10 min ist man zu Fuß im Zentrum mit 2 guten und günstigen Restaurants. Familie Kraus ist sehr nett und zuvorkommend. Alles in Allem echt empfehlenswert! 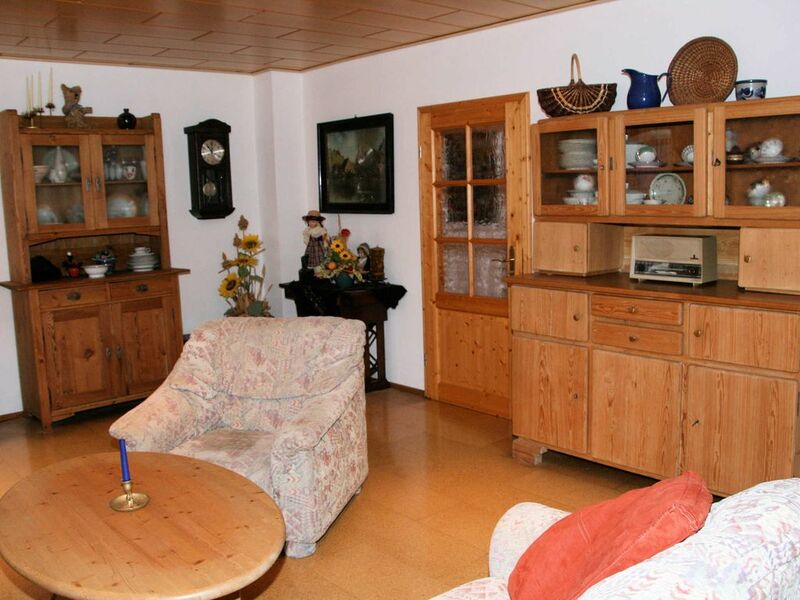 The house is located in a very quiet residential area of ​​Heiligenstadt, shops and restaurants are in the immediate vicinity and can easily be reached on foot. From Heiligenstadt you can reach the sights of the region within a short time (World Heritage City Bamberg, the Richard Wagner City Bayreuth, the holiday region Franconian Switzerland) and is therefore an ideal starting point for your culinary, cultural and maybe even sporty excursions. The market town of Heiligenstadt is a state-approved climatic health resort located in the romantic Leinleitertal with its numerous charming side valleys. Here you can cycle, hike or simply relax in the almost untouched nature. Cozy, family-friendly guesthouses with Franconian specialties invite you to stop off, a holiday to feel right at home. For sports and health are in addition to 200 km of marked trails and 3 designated mountain bike trails available.